Working in wedding industry pays off. Why? Because weddings are a never-dying business. All children, no matter their gender, dream of a perfect wedding at some point in their life. Even though some of them later decide not to marry, or they simply stop caring about wedding details that much, there is still a significant number of people who are willing to pay wedding professionals to help them make their dream come true. Yes, it is true, this niche is lucrative. Brides and grooms are coming up with more and more extravagant ideas each day, while on the other side some insist on following numerous traditions which run in their families. If you know how to achieve the mission impossible and offer the happy couple the best solution for their (often crazy) demands – your services will be considered impressive, and future newlyweds will keep coming. However, few satisfied customers and their recommendations can’t keep your bank account full. That is why you need to consider reaching to potential clients on different levels and broadening your audience. The best way to do so is by investing in marketing. Whether you choose to spend a few bucks on advertising and hire a professional, or get creative and do it on your own, these marketing tips will increase your visibility and get you new clients in no time! Before you jump into marketing, you need to figure out what makes you stand out in the crowd of various wedding vendors. What makes you different? As marketing experts often say, you don’t have to come up with new and original ingredients; you just have to mix them up in an original and innovative recipe. Maybe you are a wedding vendor who offers the whole package, perhaps you know how to acquire the most popular wedding bands or your wedding cakes are vegan and gluten-free, maybe you are ready to discuss the prices and change them if needed, or perhaps you are just a good listener who is set to make happy couple’s wishes come true. Whatever it is, if you know how to use it in your advance it will get you hundreds of customers. You must recognize what brides and grooms need before you define what is that you are offering. Once you get to know the market, swimming around it won’t seem so terrifying. Make sure to highlight your uniqueness in all of the promotional materials. Casually mention it in a few places on your website, incorporate it into your visual identity (business logo, portfolio, postcards, etc.) and make it clear in your prospects. Give the future newlyweds a reason to pick you instead of anyone else. In the last few years, the importance of creating a social media buzz has been rapidly rising. Also, people had become a little bit lazy, and what doesn’t appear on the first page of their Google search is considered to be non-existent. This means, if you want to make money as a wedding vendor, you need to be seen, and you have to make sure you are easy to find. Fortunately, this can be done through blogging, making your content SEO friendly and paying attention to your social media image. When it comes to blogging, your articles have to be entertaining and useful at the same time. Put yourself in the shoes of a future bride, groom or other wedding vendors and think of the things they would like to read. Also, make contact with other bloggers (preferably influencers) in your niche, and do guest-posts at their websites – this will increase your visibility. If you are a rookie when it comes to running a blog or using the internet as an advertising medium, you should consider hiring an SEO specialist. They will help you make your content desirable and easy to find. If you want to find out more about online marketing for wedding vendors, this article may be a good starting point. When it comes to social media, Facebook and Instagram are today’s must-haves. However, as a wedding vendor, you should also consider opening a Pinterest account. Many brides go to Pinterest boards in search of wedding inspiration. Of course, both Facebook and Instagram offer paid ads, and you should use this option the best you can as it will provide you with a chance to target a specific population for a relatively small price. However, don’t forget that using paid advertisement is not the end of the story. Engaging with your fans or followers is equally important. If you get creative and organize competitions, giveaways, special sales or offer any gifts in exchange for likes, comments, tags, and shares, you will reach potential customers much faster. Not all brides have social media accounts, which is why covering wedding magazines and being a part of bridal shows is always a good idea. Also, being seen in these places increases your legitimacy, not only in the eyes of your potential clients but also in the eyes of other wedding vendors who you might collaborate with in future. Wedding magazines can be especially beneficial to photographers. Happy couples usually love when you feature their photos in some magazine. At the same time, this is great for your business as you get a good reference by having a couple of satisfied customers who trust you enough, to let you use their photos for marketing purposes. On the other hand, having a booth at a bridal show might be costly, but it allows you to speak with your potential clients directly. Also, one of the most significant benefits of such event is the fact that, the show’s organizer typically provides you a list of leads. 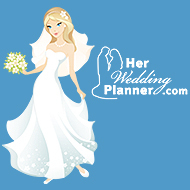 This gives you a chance to follow up with future brides and grooms after the event. In the wedding industry, networking might be the crucial factor that will determine if you are going to succeed or not. The rule is simple, make friends with other vendors and make them incorporate your advertisement into their business. This is a long haul game, but it pays off. The first and essential step is to prepare a killer mini-sample or promo kit of your work and services, that you will distribute to bridal shops, venues, wedding-related stores and a few wedding planners in your area. You can gain the trust of other vendors, by actually working and performing well at a wedding. This will give you a solid base for a potential referral. However, except for doing a good job, you have to introduce yourself to them, exchange business cards, and make a follow-up contact. Sending a quick note that says you are glad you’ve met them, or that you hope you will work together again in the future, complimenting their work and at last offering to refer them to your future clients can take you a long way. Word of mouth is just as important as networking. Great social media coverage and killer ads won’t be efficient if you don’t have actual clients to back up your story. When you meet the potential clients, who came to you based on someone’s recommendation, your chances of selling your product or being hired drastically increase. Some brides and grooms might recommend you even before their own wedding is finished. Organizing the wedding is a joyful but extremely stressful process. For that reason, brides and grooms respect wedding vendors which are easy to work with and offer excellent services, so you shouldn’t be surprised if they start sending their friends your way. If a client of yours has recommended you to other couples and you start working with them, make sure to send a simple thank you note or e-mail to them. This small gesture of appreciation means a lot, and it can increase your chances of getting more referrals in the future! Marketing in wedding industry requires creativity, good communication skills and a demonstration of trustworthiness. You need to do extensive research, cover many fields at the same time, stand out, be professional, give your best performance and do all of that with a smile on your face. It is not an easy task, but it is undoubtedly, a path to success. Play with your ideas, dare to be different, make a few couples happy and you will be earning money in no time!